The Library has subscribed to the print edition which can be found on the 4th floor of Main Library but the online version is also available. This is a brand new journal so only one volume is available just now. 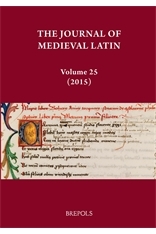 This journal is published on behalf of the Medieval Latin Association of North America (Toronto). It’s purpose is to encourage new and original investigations in the field of Medieval Latin language and literature. The journal includes manuscript studies, editions and translations (singly or together), linguistic studies, articles on literary history and literary criticism, and, more broadly, studies of the Latin culture of the Middle Ages. At present the Library is only getting access to the online journal from 2008 onwards though it is hoped to extend this back to cover volume 1 (1991) onwards in the near future. Publications in this journal cover the full range of ancient philosophy, with special emphasis on the interaction between philosophy and science. Another thematic priority is the influence of ancient philosophy and its interpretation in the later tradition. 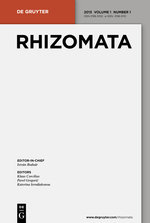 Supplementing the articles, discussion notes and reviews, the journal also provides bibliographical documentation of important recently published work in the South-East European region. The Library has access to the online journal from volume 1 (2013) onwards. Don’t forget that this semester the Library has already started two new subscriptions to the fantastic resources Online Egyptological Bibliography and Oxford Classical Dictionary. And further new resources will be available soon. Access to online journals and resources are only available to current students and members of staff at the University of Edinburgh. 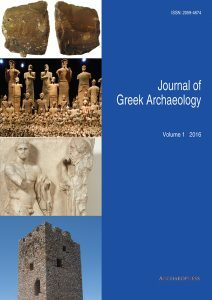 This entry was posted in Library, New, Online resource and tagged Ancient history, Archaeology, Classics, e-journals, Greece, History, journals, Latin, philosophy by cstirling. Bookmark the permalink.